Our Amish Artesa Open End Table with Drawer and Shelf features gentle curves and boldly tapered legs to form a contemporary Shaker-style piece for your living room. 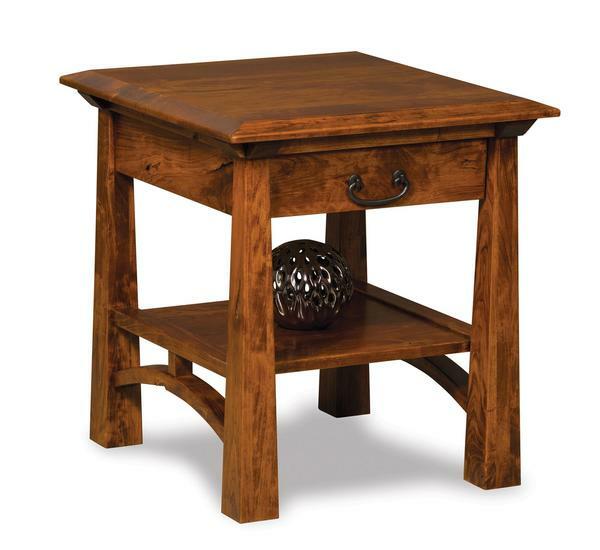 Other features of this accent table is a 1-inch-thick top, a fully-extending drawer, and open sheld near the base. Customize this solid wood end table by selecting the wood type, finish, and hardware of your choice.